Choosing a colour scheme for your home can be a daunting prospect – with so much to consider, it’s easy to feel overwhelmed if you don’t have any interior design experience. It may be easier to start by thinking about each room of your house individually at first. When it comes to great interior design it’s important to think about function as well as aesthetics, as the two should work together in harmony. With that in mind, start by considering the purpose of each room and what your family does when it spends time in it. What ambience do you want to create in this particular area? Certain tones create a restful, serene feeling that complement a relaxing bedroom for example, whilst you may feel a bold, lively shade more suitable for an active space like a playroom. Once you have established your feeling on the type of space you are hoping to create, consider the existing elements of the room. Are you keeping the existing furniture? Is there a lot of natural light? If you have high ceilings, or a naturally bright, airy space then the room could looks spectacular painted in intense colours, and won’t be overwhelmed by darker shades. Smaller spaces lacking in natural light will be complemented better by lighter tones – don’t worry though, if you have your heart set on bolder colours then you can introduce elements of these via furnishings and accessories, such as a vibrant, red coffee table or bookshelf. Once you’ve established the mood you are trying to cultivate in each area, it’s time to start thinking about your house as a whole again. You might be dying to try a different colour scheme in each separate room – and whilst that may work brilliantly for some, if you have a smaller house then it could feel muddled and confused. Larger houses tend to be more forgiving in this respect – although you should pay special attention to the meeting points. A great way to work this out for yourself is to stand at a point in your house where you can see into a few rooms at once and imagine the overall effect of contrasting schemes in each area. If you’re not sure at this stage, consider consulting a professional interior designer to get you off on the right track. Tonal Colour Scheme. A tonal colour scheme for your home is a simple concept – you’ll select one colour only as the running theme that ties the decor of your home together, but the tones and shades of that colour will vary throughout. You can incorporate features, furnishings and accessories to complement the chosen theme as well. It’s a simple scheme, but if done well it’s incredibly effective – creating a home with a wonderful, seamless flow. Harmonious Colour Scheme. Use a colour wheel like the one below to assess which colours work well together – you do this by picking colours that are next to each other on the wheel. A colour scheme that is harmonious tends to create a rather peaceful, relaxed feel. Complementary Colour Scheme. 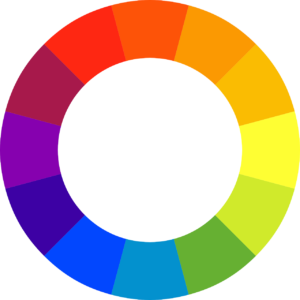 Again, use the colour wheel to find your perfect fit – but this time you are looking for colours that lie directly opposite each other on the wheel. These colours will stand out against each other in beautiful contrast and create a bold, bright home. The term ‘colour flow’ simply refers to a well-balanced colour scheme that connects each room or space to each other, and does so with perfect harmony as one area flows smoothly into the next. 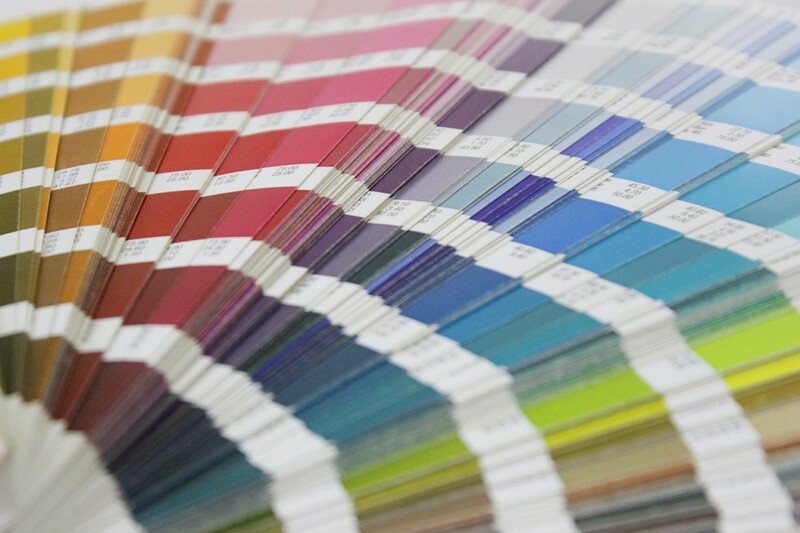 So, how do you ensure that your home has great colour flow? If you’ve gone for a tonal colour scheme as described above, then if done correctly, you should naturally be creating colour flow by employing this technique. The varying shades of the same base colour will work in harmony throughout your various spaces, without ever clashing. Remember your furnishings to maximise continuity throughout – and you don’t just have to stick with 1 or 2 colours. You could select a palette of 3 or 4 complimentary colours and then feature them differently in each space. In the dining room you may opt to decorate the walls in red, but in the kitchen you simply go for red as an accent. Don’t forget that cushions, curtains, light fittings and rugs can also be used to bring out your colour scheme to great effect. Choosing one consistent colour for the woodwork throughout your entire home is also a great way to tie each room together. A good colour scheme will do far more than simply make your house look pretty, it will actually play a part in the kind of atmosphere your home embodies. And, of course, different rooms within any one home will have a mood all of their own. So, what do you want to achieve? Your entrance hallway is the your first chance to make an impression on a visiting guest – so think about selecting warm colours to create that warm, welcoming feeling. If your bathroom is a haven of relaxation and serenity, then choose calming, soothing shades that invoke those feelings. If you want to curate a feeling of elegance, then consider more neutral, beachy tones such as slate grey and soft caramels for a timeless look that will never tire. Lighting plays a big part in creating the perfect mood and can really make or break a room. Whether it’s soft, romantic lighting or bright and practical you should ensure lighting design is a part of your thought process. Consult a professional electrician if you need further advice. Channel your inner interior designer and create a mood board to get all your ideas down in one place. You can do this by hand, or via an online tool such as Pinterest. You’ll be surprised how useful this is as a technique – simply taking your mood board into the space you’re going to decorate will really help you to envisage the end result. It will also be very handy to have close at hand if you’re making furniture or fabric choices, or to share your ideas with your interior designer. Once you’re happy, pick up test pots of your selected colours. Don’t be afraid to experiment, you make need to try a few variants before you find the perfect shade for you – even a slight tonal difference can actually have a big effect. Get testing your colours! Do so by painting onto plain, non-absorbent paper or plain card and sticking on to the walls. Resist the urge to paint tiny lines in the varying colours for comparison – you need to paint a relatively large area to get a proper feel for how it will look on a larger scale. If you paint pieces of paper instead of onto the walls directly, then you can move the pages around the room to observe how your chosen shade looks under different lighting conditions. Make sure you allow the paint to dry fully before you make a final decision. That’s it, you’re now one step closer to your designer home! If you’re stuck for inspiration at any stage, then give Handyman Homes a call to consult a professional interior design consultant on 071 319 2831 or drop us a line via our online enquiry form.